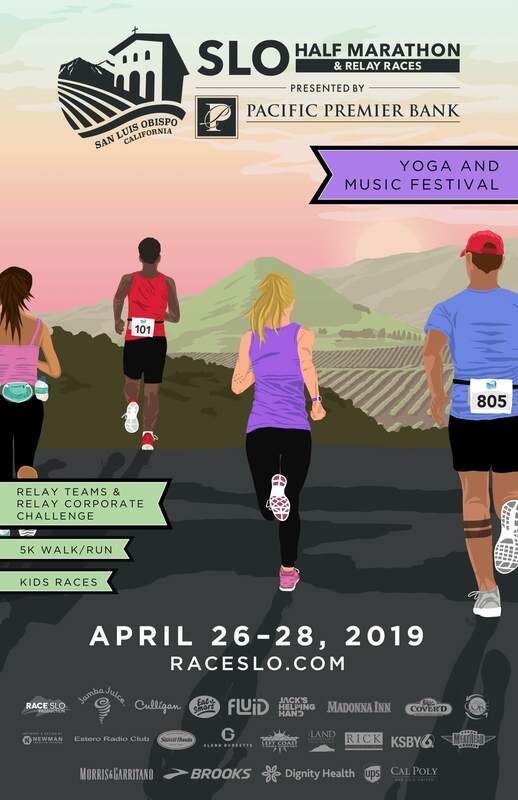 Thank you for making the SLO Half Marathon + Half Marathon Relay your Spring destination! 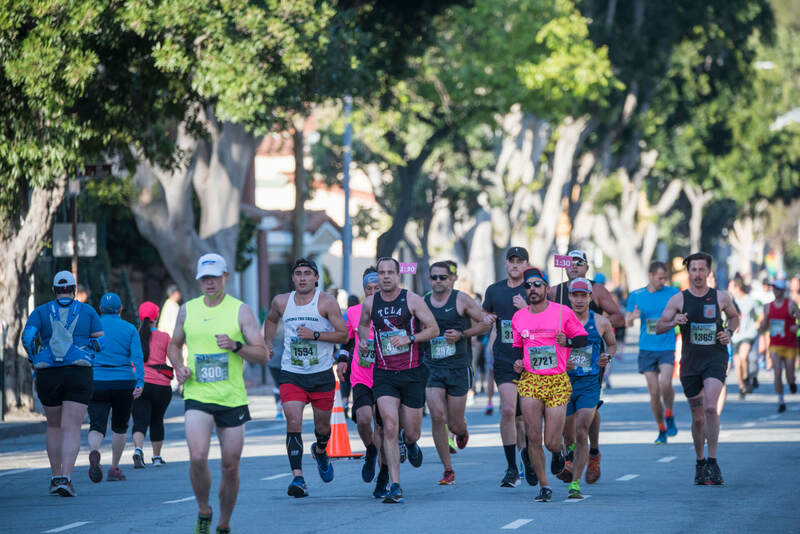 We have four incredible races to choose from—Half Marathon, Half Marathon Relay 5K and Kids Races—along with a finish line party highlighting the best of the Central Coast to celebrate each and every one of you. We’re also proud to provide great on-course support and safety for everyone’s enjoyment and well being. You will enjoy—Aid Stations every 2-3 miles that include water, sports drink and race fuel (sports gels); on-call medical care; clean sanitary stations at start, on-course and at finish Line; Police, Professional Traffic Control and Course Marshals; 800 enthusiastic volunteers cheering your every step! 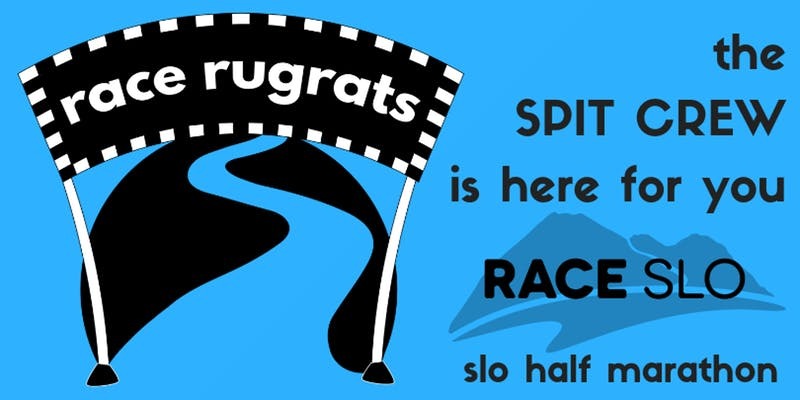 Our professional child care providers, the SPIT CREW, will be manning the Race Rugrats Clubhouse starting at 6:00 am. Drop off your rugrats with us and we’ll take good care of them while you race your heart out on the beautiful course. Your initial fee includes two hours of care. Need more time to finish the race? No problem, extra time can be purchased for $8 per hour and we’ll stay on site until 2:00 pm. Flavors of SLO returns Saturday, May 4th to Downtown San Luis Obispo. Bring the entire family to Mission Plaza, and be treated to the flavors of SLO County! 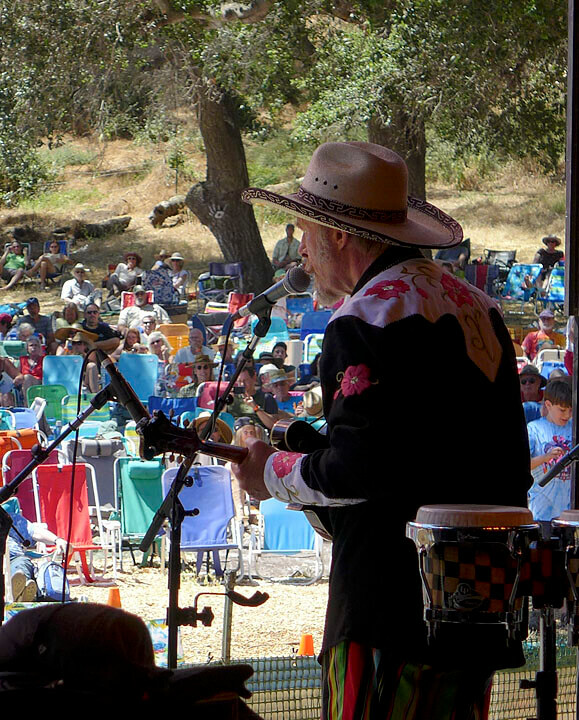 While you taste local wine and cuisine, immerse yourself in the cultures of San Luis Obispo and enjoy entertainment from Rio Salinas featuring Louie Ortega, local dance groups and Mariachi! Limited VIP tickets available for early entrance and exclusive tastings. Flavors of SLO is a delicious way to give back to the community. 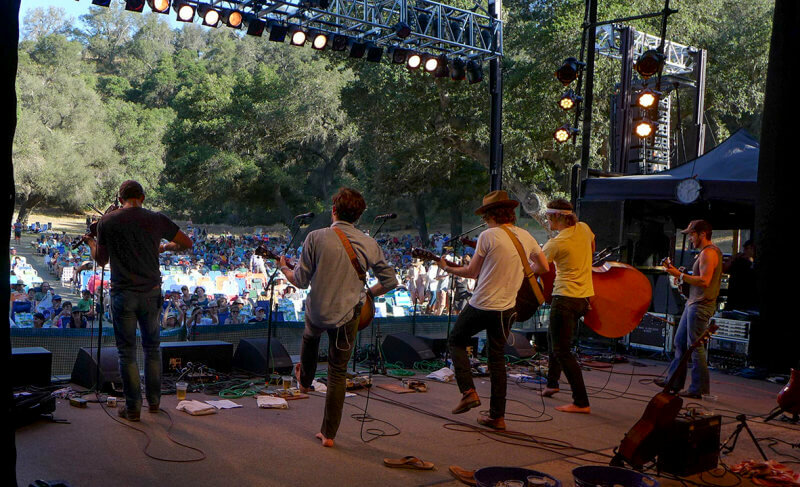 Kick off the summer in San Luis Obispo’s Wine Country at our 29th Annual Roll Out the Barrels Weekend, June 20-22nd. Your getaway to our coastal wine mecca begins Thursday, June 20th at Barrels in the Plaza, with over 50 wineries and local chefs dishing out delicious food and wine. 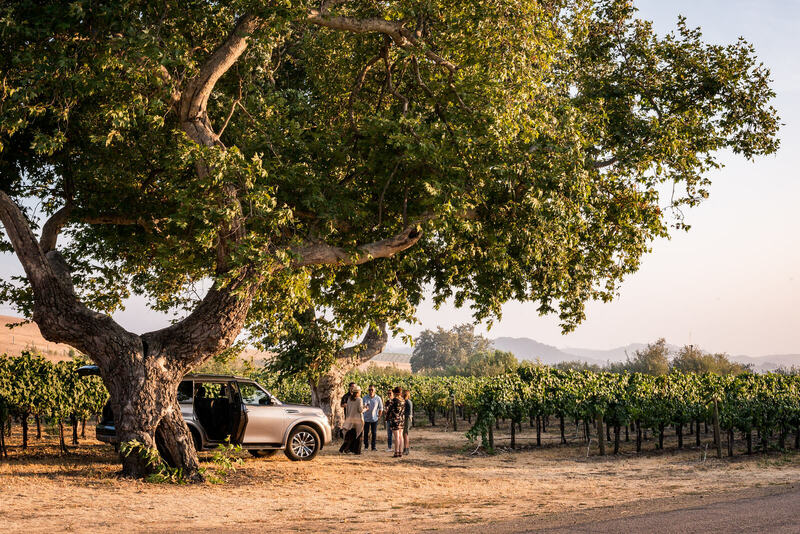 Then on Friday and Saturday, sip your way through San Luis Obispo tasting rooms with our Passport to Wine Country*. Walk the vineyards, barrel sample the new vintage, and enjoy open houses, wine tastings and festivities all day Friday & Saturday! Just pick up your wristband, wineglass and passport booklet at the first winery you head to and bring them along to enjoy the festivities! 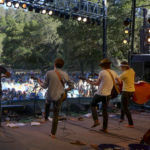 After 29 years at Live Oak Camp in Santa Barbara County, the Live Oak Music Festival is moving to El Chorro Regional Park in San Luis Obispo County, starting on June 21-23, 2019. Nestled in the beautiful El Chorro Valley that runs between Morro Bay and San Luis Obispo, the site is filled with old oaks, sycamores, and other native trees that provide restful shade and beauty. 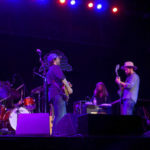 With musicians from all over the United States and across the globe performing, this hub of the festival is the gathering place for everyone to hear and see some of the finest entertainers anywhere do what they do best: play music. 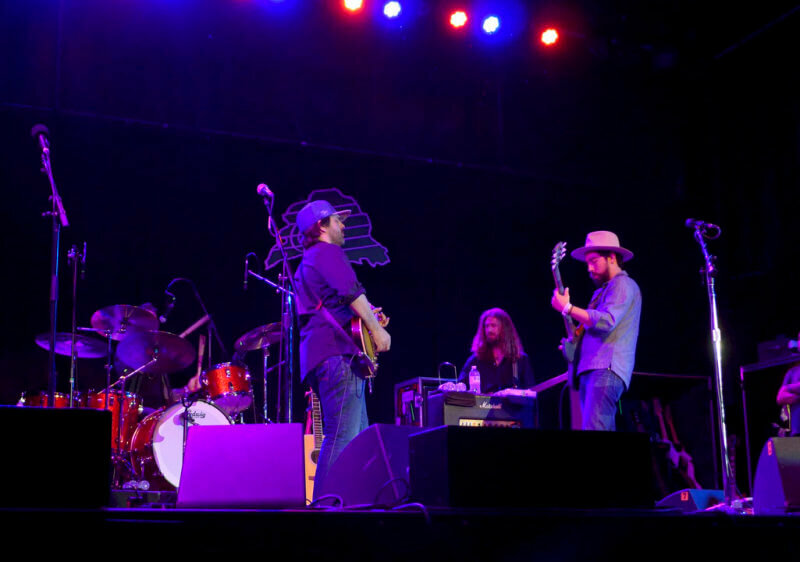 Ranging from traditional folk, bluegrass and gospel, to blues, jazz, soul and world music, and touching most genres in between, the Main Stage provides great cultural entertainment and education. The three-day event provides basic camping accommodations. There are limited hook-ups available for an extra fee. 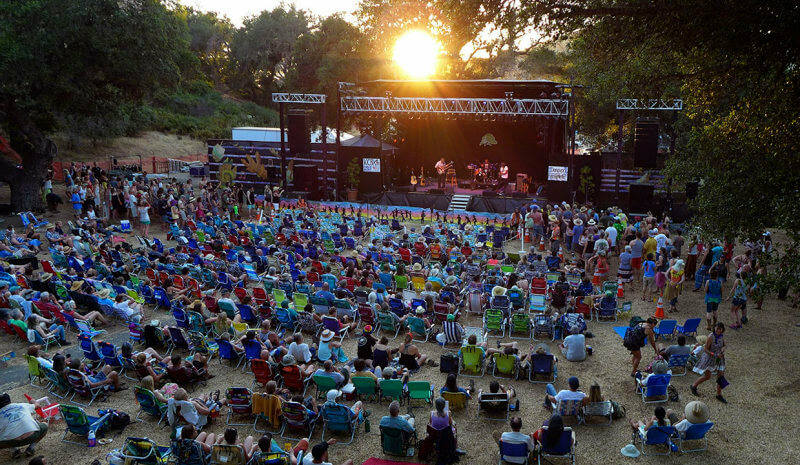 Campers may bring their own food, or choose from a diverse array of delicious food booths and trucks. 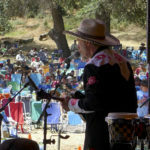 Adding to the fun of the main stage music are two side stages, plus a collection of arts and crafts booths, music workshops, fireside jamming, dances on Friday and Saturday nights, and entertainment for children of all ages. 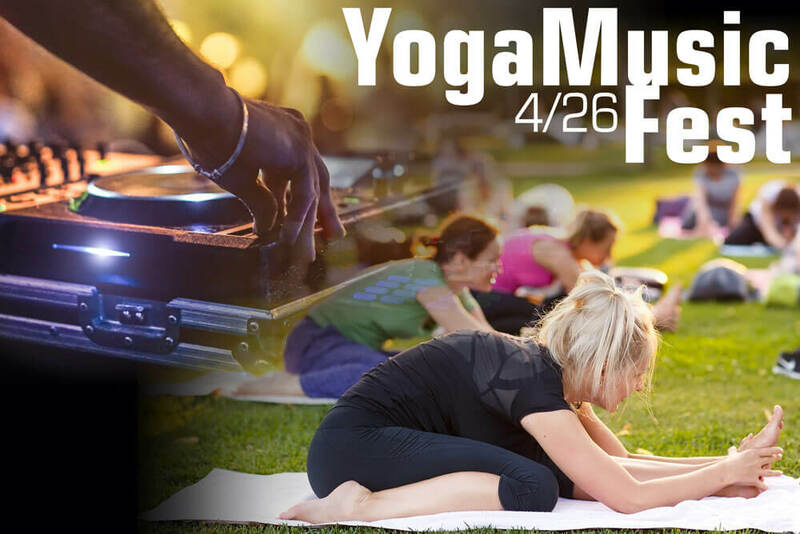 A variety of daytime activities for children, from a fairie garden, to arts & crafts, to a major talent show, give the youngsters not so interested in the main stage music something to do while their parents sit back and enjoy. 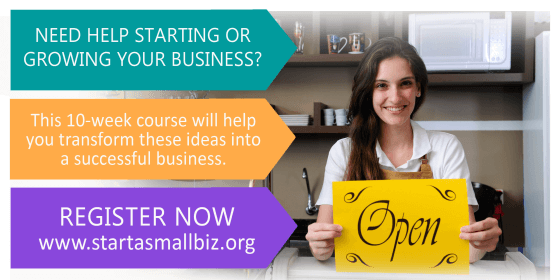 “Start, Run & Grow” is a ten-week entrepreneurial training course that will equip you with the necessary knowledge, tools, and resources to start and/or grow your business. The “Empezando” course is the Spanish equivalent. The outcomes of these courses are a tangible business plan and fine-tuned business pitch. We know you have amazing ideas and concepts. And we’d like to help you transform these ideas into viable businesses. San Luis Obispo offers a wide variety of accommodations including hotels, ranging from corporate to boutique, budget-friendly motels, quaint inns, and family-owned bed and breakfasts.